Native language experts are urging the state to declare a “linguistic emergency,” and work with tribes to open a discussion about the endangerment of indigenous languages. 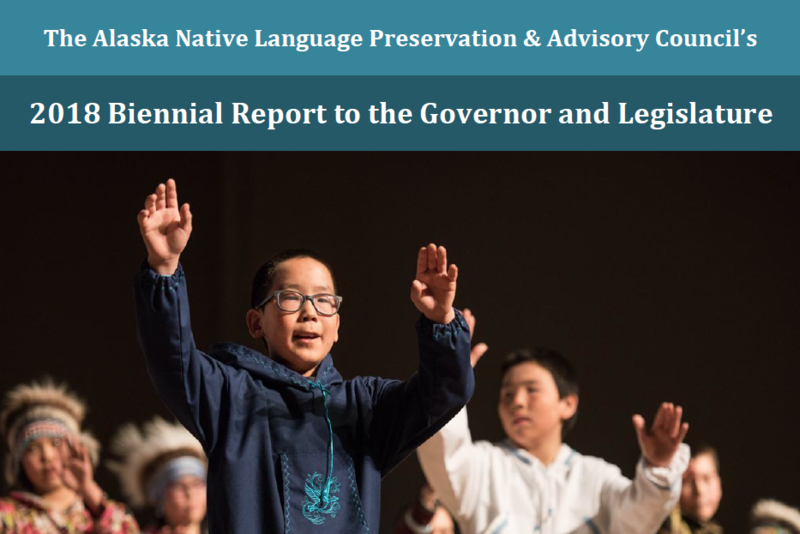 In a report to both the legislature and Governor Walker, the Alaska Native Language Preservation and Advisory Council warned that most of the 20 indigenous languages recognized by the state are expected to go extinct by the end of the century. Of all the endangered languages, Central Yup’ik has maintained the most speakers, with a little over 10,000 people using it today. The report also implores policymakers to look at the relationship between historical trauma and language loss, and consider something “modeled after Canada’s Truth and Reconciliation Commission” to help find healing options for survivors of that trauma.